Ayurveda is an ancient, holistic and time-tested system of medicine that is indigenous to India, and has traditionally been practiced here for centuries. It was first mentioned in the Vedas, ancient texts of the Himalayan sages, and is again gaining popularity because it offers in-depth understanding of how to heal illness at the root. Yogi Dr. Amrit Raj is an honorary visiting professor at the Dinacharya Ayurvedic Institute in New York. In addition to India, Dr. Raj has given lectures and classes at the United Nations, and has offered stress- management yogic techniques to oncologists in the USA. He has also lectured in the UK. Dr. Raj provides consultation services to help cure chronic and lifestyle diseases at Maa Yoga Ashram. Ayurveda is acknowledged as an authentic medical system, and learning Ayurveda therapies at the right Ashram can ensure you learn this healing system from Ayurveda professionals. If you are interested in learning all about Ayurveda treatment, massage therapy, preparation of Ayurveda medicines and Ayurveda food and nutrition then, Starlim India can provide you with the necessary guidance for the most recommended, authentic and effectiveAyurveda courses in India. Maa Yoga Ashram’s mission is to raise the vibration of all consciousness! Our wish is that you experience an optimum balance of healthy body and mind, leading to long-term happiness, contentment, and a fulfilling life. we share with you the knowledge, theory, treatments and sattvic ambience (pure and natural) for sadhana (discipline undertaken in the pursuit of a goal). The rest is up to you, and only you. Your predetermination brought you here for a reason. Now, it is up to you to maximize on your time with us, and make this the opportunity of your life! 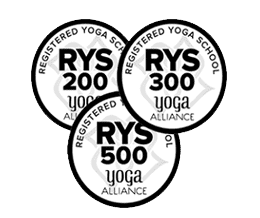 Maa Yoga Ashram offers residential, intensive and affordable 200- and 300-hour Hatha Yoga Teacher Training Courses designed for beginners, with RYT 200-hour Yoga Alliance certification; Ayurveda courses, retreats and treatments; Panchakarma therapy; and Yoga Retreats in India. 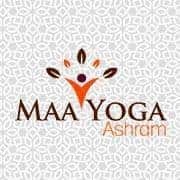 Maa Yoga Ashram - Rishikesh offers a 4-week advanced Ayurveda practitioners course and a 2- week intensive beginners Ayurveda course in India. If you already have a strong understanding of Ayurveda and have previously studied it, we can tailor your Ayurveda course to fit your specific needs. To reserve your seat, you need to pay US$ 240 as non-refundable deposit. Remaining fee i.e. US$ 960 is non-refundable and needs to be paid upon arrival before starting of the course.